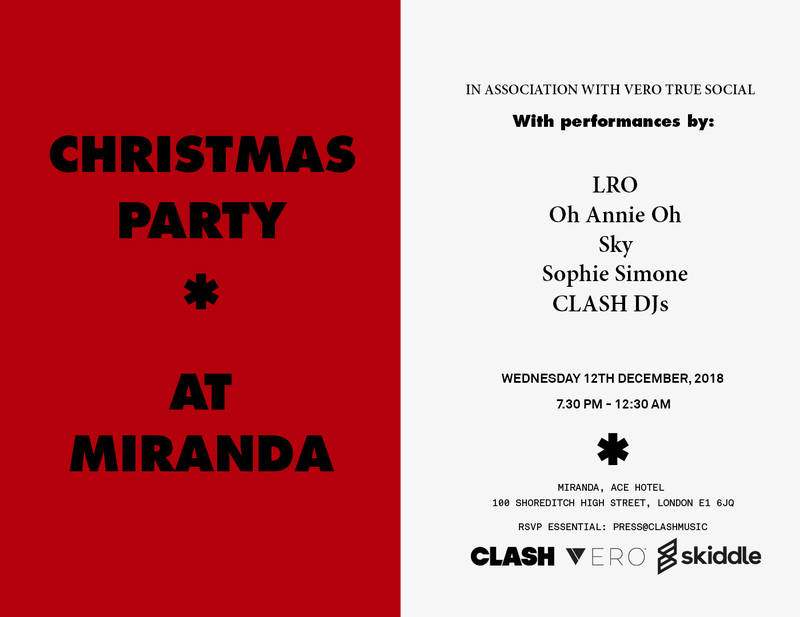 While we’re still yet to put up the Christmas tree at Clash HQ, we’re finally getting festive next week by concluding a year of legendary parties at Ace Hotel’s Miranda with a holiday special on Wednesday 12th December - when our advent calendars are half empty! Shining brighter than any star you’ll find at the top of a tree, we’ve got four of our favourite DJs in the building; LRO, Oh Annie Oh, Sky and Sophie Simone will have the place more popping than a box of M&S’ priciest Christmas crackers. Whether you’ve been naughty or nice this year, you’re welcome to come and join us to celebrate the most wonderful time of the year. Grab a free ticket here, then we’ll see you on Wednesday to drink, dance and be merry!